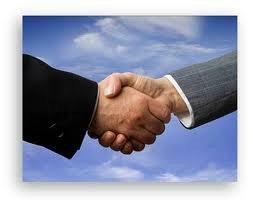 As an IT Services Provider, we take ownership of your technology by positioning ourselves as a true business partner. Our goal is your success. Our approach is proactive; we aren’t an “IT guy” that just fixes things when they don’t work. We act as your Virtual CIO, working side by side with you to plan your technology and ensure that it lines up with your business plans. We go a step further and assist in budgeting and analyzing the impact of business and technology decisions. Our approach allows us to engage in consulting and conversations about the business and how to leverage our knowledge and experience to make you more profitable, more efficient, and more competitive. Our proactive enterprise class monitoring systems ensure that we know about issues before the user does, whether it is on a computer, a server, a mobile device or your network. Our focus is on the end result, what is the end result? Wow, is right. The "CDS way" of providing service allows you to become more productive, less burdened, and more profitable. We are all about your success.